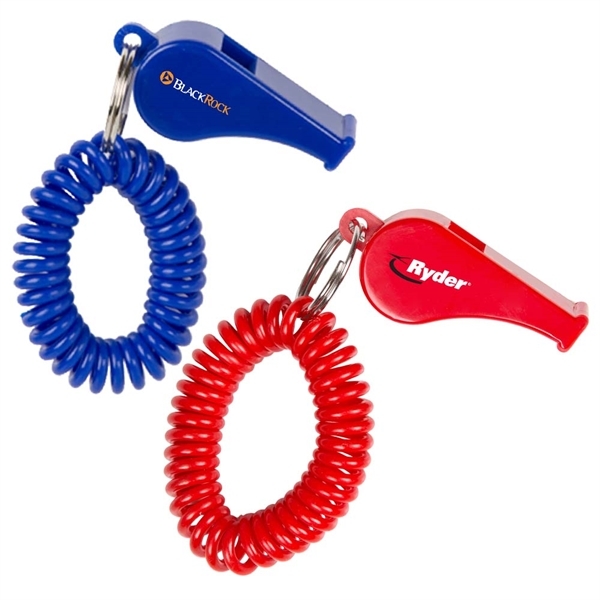 Production Time: 3 business days - Plastic whistle comes with an elastic, rubber coil to keep around your wrist. Great for a referee, school or safety program. Size: 2 1/4 " x 7/8 "